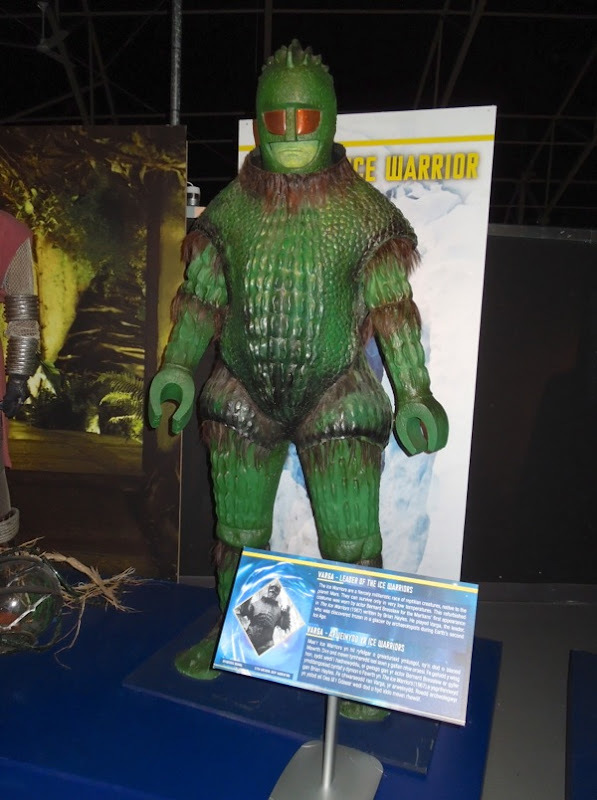 The wonderful thing about having 50 years of history to draw upon, is that you can go back and revisit and re-imagine classic monsters from earlier incarnations of Doctor Who. 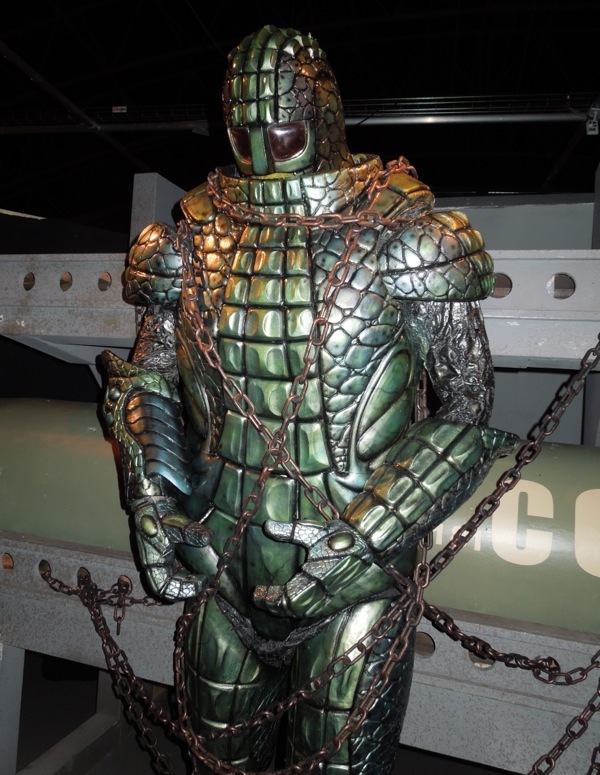 Take for example the militaristic reptilian race of creatures, the Ice Warriors, from the planet Mars. 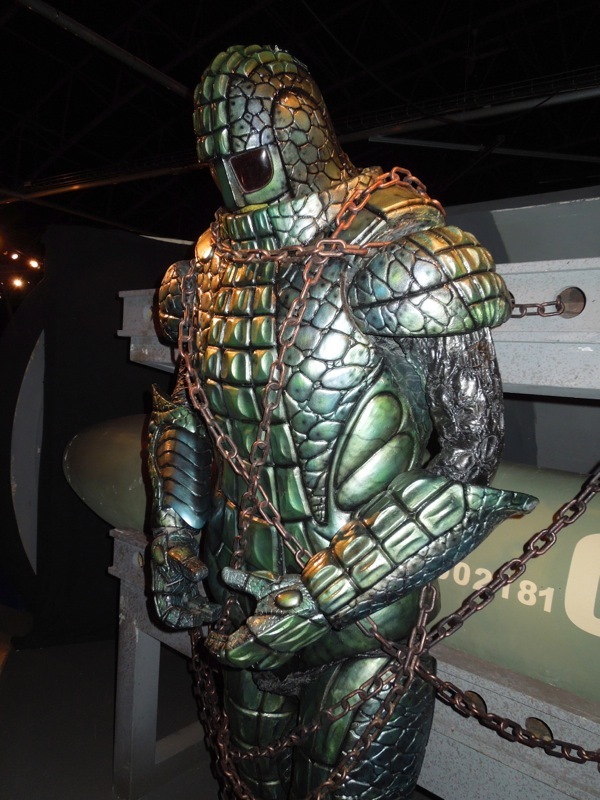 Both these fantastical creature suits from different eras were photographed on display at the Doctor Who Experience at Cardiff Bay in Wales on May 20, 2013. 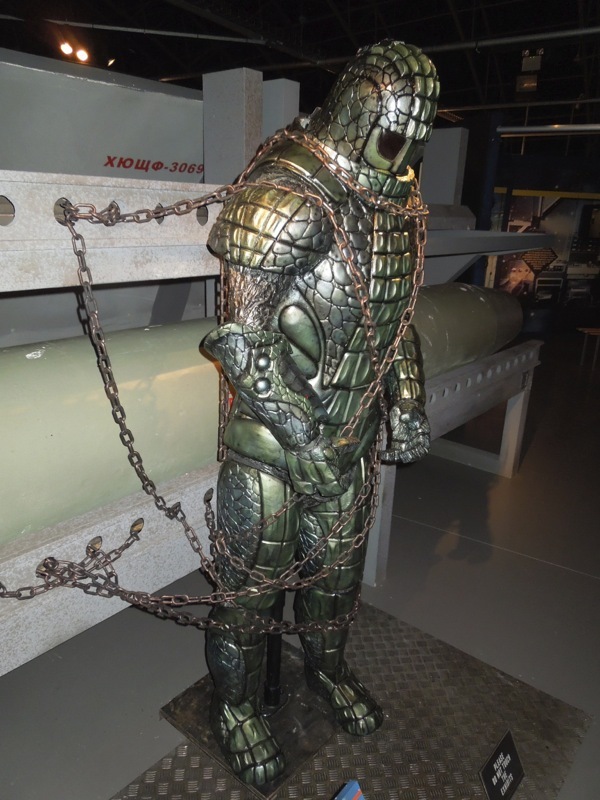 One of the best things about this exhibition is that because the costumes and props are not behind display cases, which tend to get smeared and scratched, you can get up close and personal with them and admire the detail (plus it makes for better photographs without as much reflective glare). 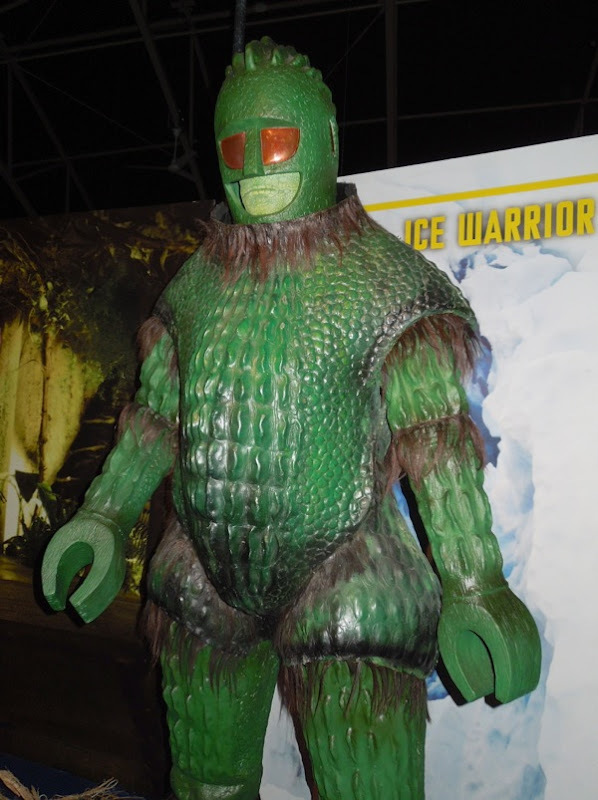 This Martian race of fierce military warriors first appeared in The Ice Warriors (1967) and met the Second Doctor (played by Patrick Troughton) when their leader 'Varga' was discovered frozen in a glacier by archaeologists during Earth's second Ice Age. 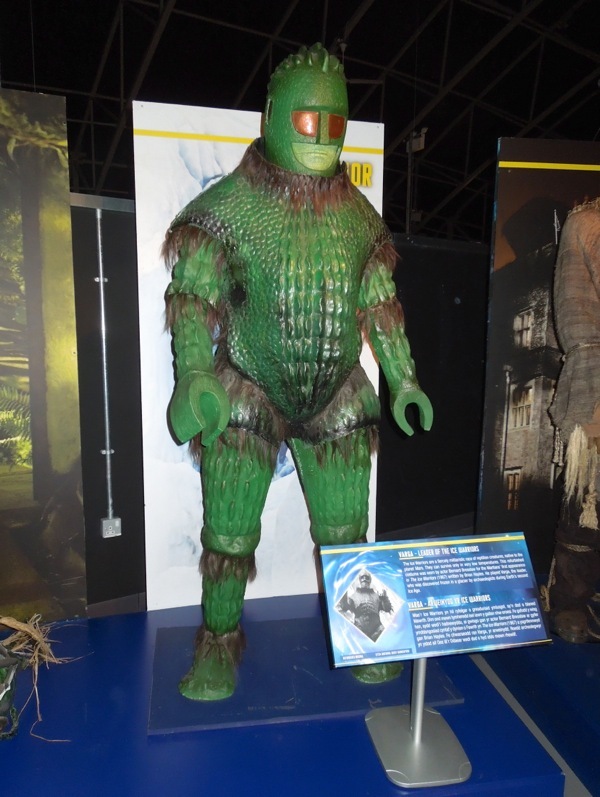 This vintage refurbished original suit was worn by Bernard Bresslaw in the episode. 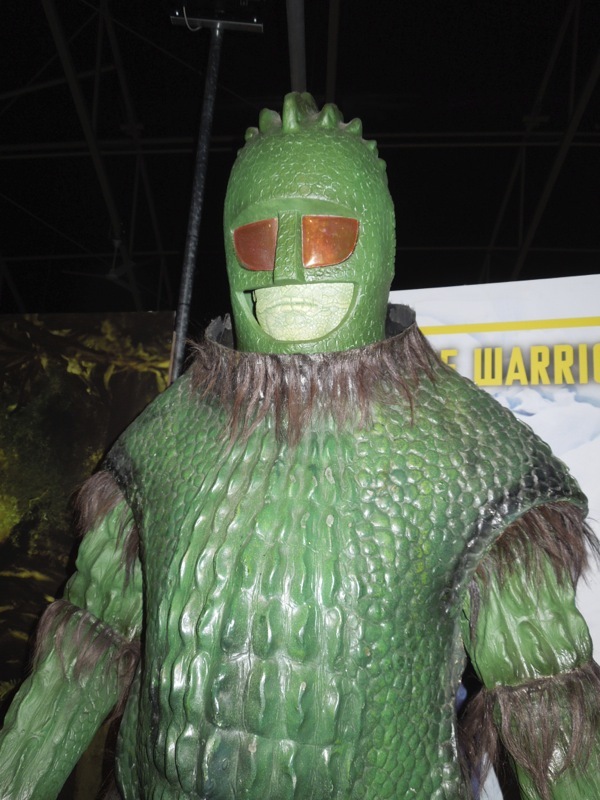 These Who monsters apparently went on to further encounter the Time Lord from Gallifrey on three further occasions, the last being in 1974. 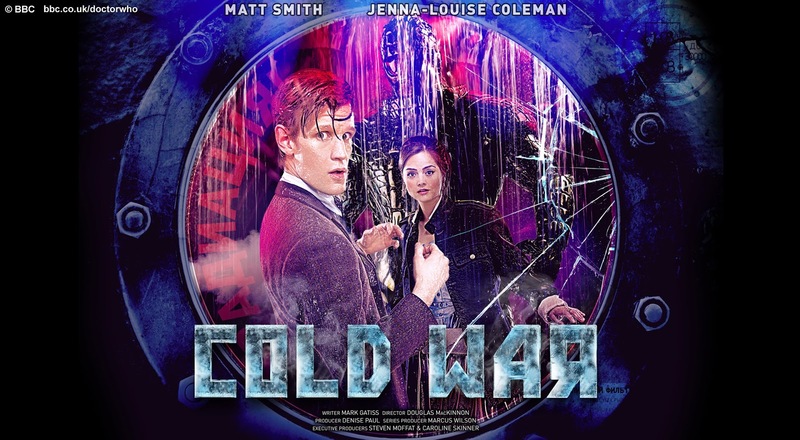 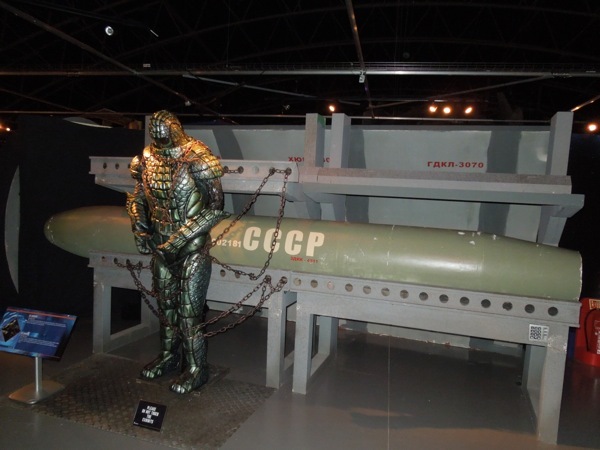 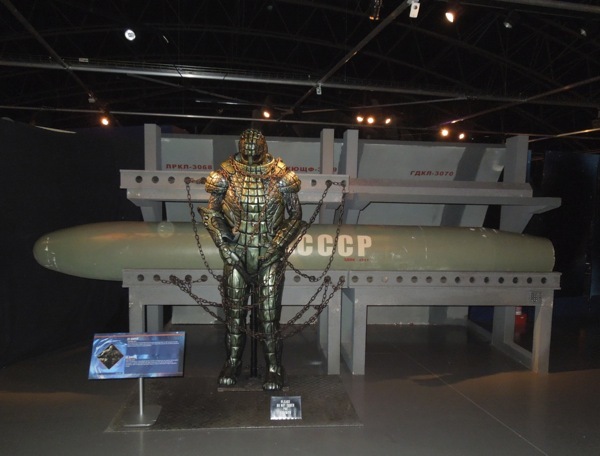 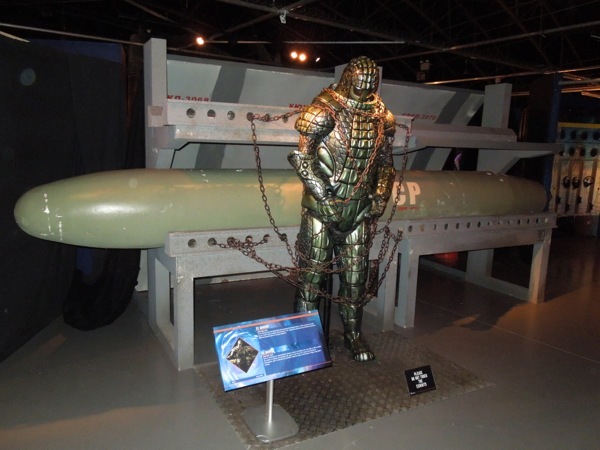 Almost 30 years later the Ice Warriors returned to face the Eleventh Doctor (Matt Smith) on a Russian nuclear submarine in 2013's Cold War episode, when the Doctor and Clara discovered he wasn't the only alien onboard the damaged Soviet sub. 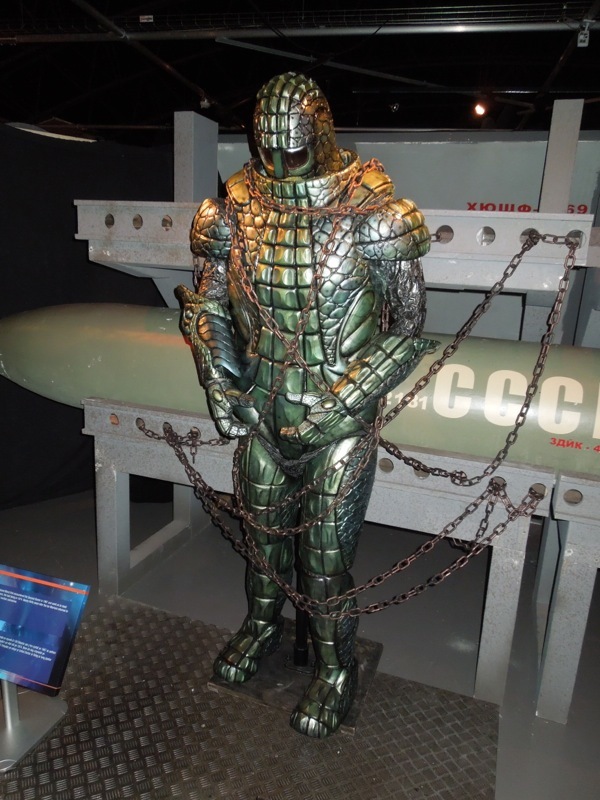 In the 80's-based episode we also saw that this fantastic updated reptilian-looking costume was actually an exoskeleton armour for the Martian creature that resided within it. 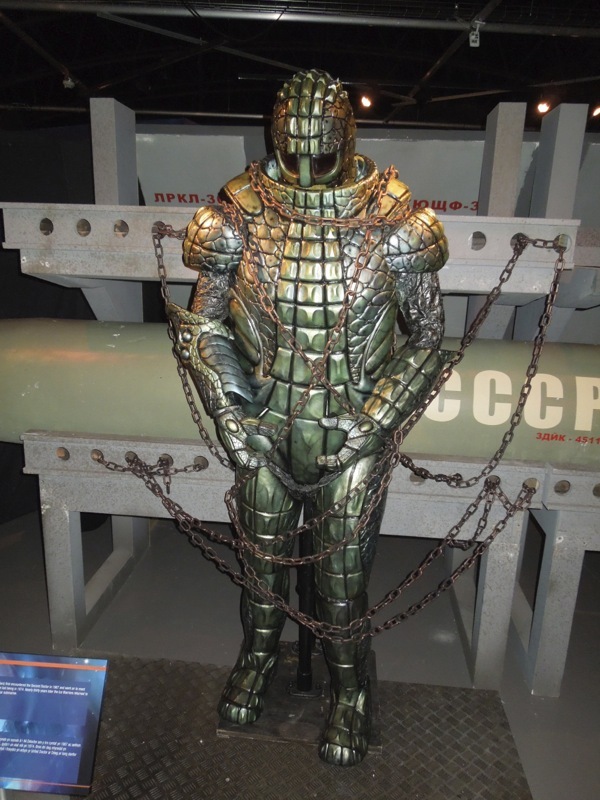 'Grand Marshal Skaldak' had been frozen in ice for over 5,000 years before being brought aboard by the Soviet submarine crew. 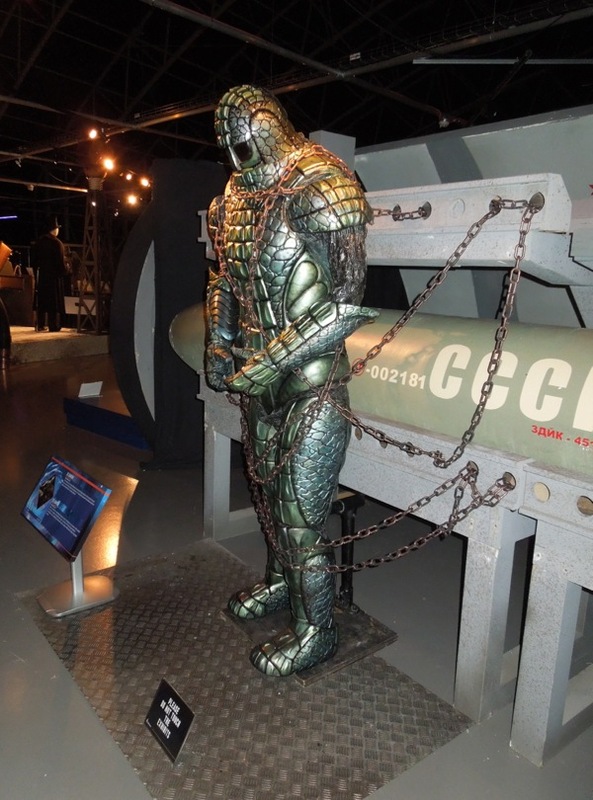 I love how this sci-fi costume design can look futuristic and nostalgic all at once. 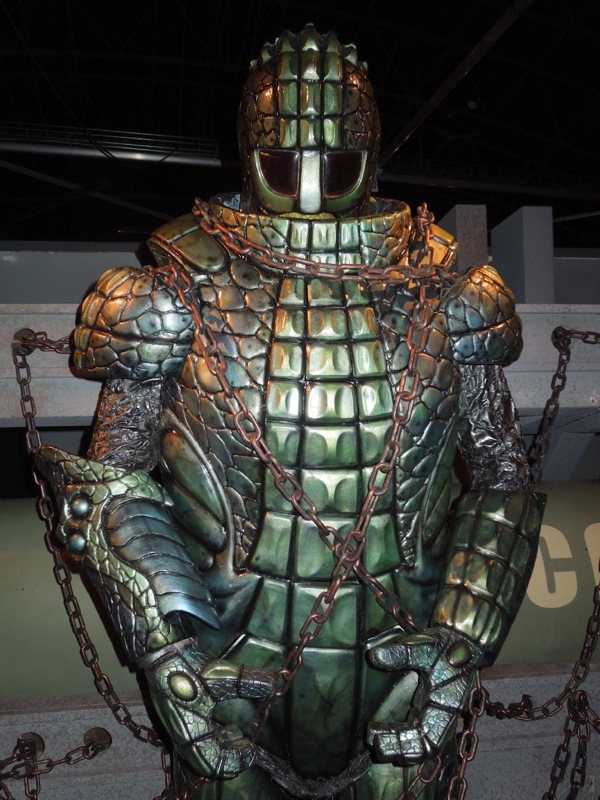 If you like this costume, be sure to stick around for more great Doctor Who creatures from Ood to Sontarans, Daleks to Silurians and more besides, from past and present.